This page contains affiliate links. Regardless, I only recommend products and services I trust and would use myself. Online courses are a big deal right now. You can find a course to help you learn how to do just about anything — completely online, at your own pace, and in your pajamas! I'm coming across great courses very regularly, so I created this page to share the ones I'm familiar with that will help you land jobs or make more money in different work from home industries. Some are expensive and some are cheap. Some I've taken, and some I haven't. Regardless, I've gone to the trouble to do the research and ensure that every course listed here is highly rated and recommended. 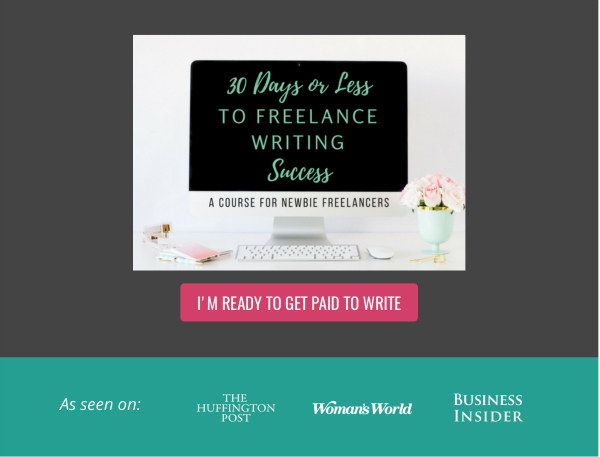 This is a freelance writing course created by Gina Horkey who currently earns well over $4,000 a month as a freelance writer. The course is done entirely through your email and contains actionable information based off her own business plan to teach you how you can be successful and achieve similar results. This is a virtual assistant course created by Gina Horkey. Virtual assisting is probably one of the most popular work at home career ideas out there, and there's a lot of demand for good VAs right now. 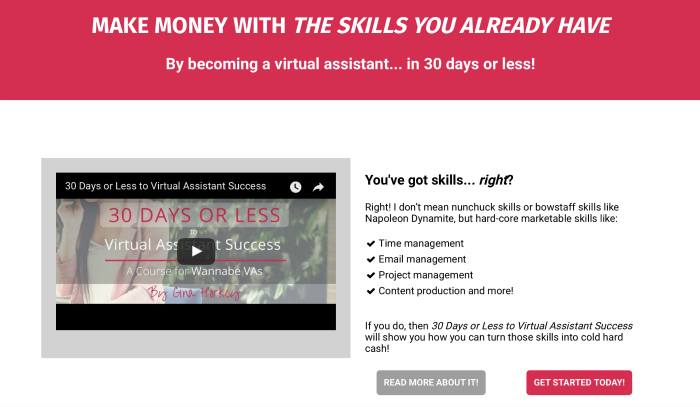 Also, it's possible to earn $30 or more an hour as a virtual assistant running your own business! Course Price: $397 (Payment plan available). Go here to learn more, or see success stories here from past students! This is a course teaching you how to work from home, starting a virtual bookkeeping business. This course was created by Ben Robinson. He is an experienced CPA who has done this himself and is teaching you how to do it from his own experience. One thing you may not know is that you do NOT need a degree or past experience to learn to do bookkeeping! We actually interviewed Ben a few years back to learn more about this course and how you can become successful if you want to check that out. If bookkeeping is a fit for you. What tools are needed to run your business. Full Course Price: $1999 (12-month payment plan available). Go here to learn more, or go through the free intro course (no strings attached) first. For many people, general transcription is the ultimate non-phone job. It's flexible work that you can do anywhere, anytime, without having to actually interact with other people. This makes it ideal for people in situations where phone jobs just aren't possible. TranscribeAnywhere has a self-paced eCourse providing video tutorials, worksheets, and printable PDF cheatsheets to turn you into a transcription pro, enabling you to land jobs and clients with ease and start making money! And best of all, their mini-course is FREE with no obligation to purchase the full course after you've gone through it. 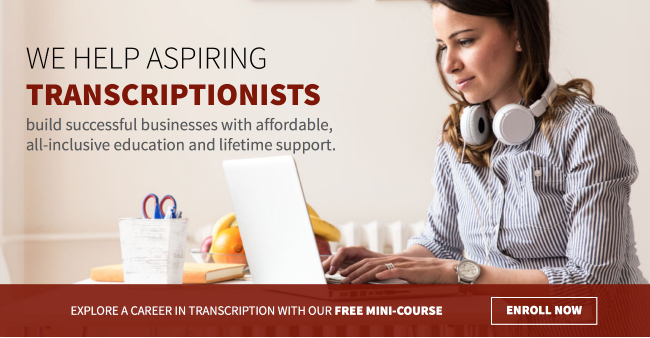 And if you would prefer to specialize in legal transcription, there is an entire course offered for that as well. Course Price: $597 (pay-as-you-go options available). 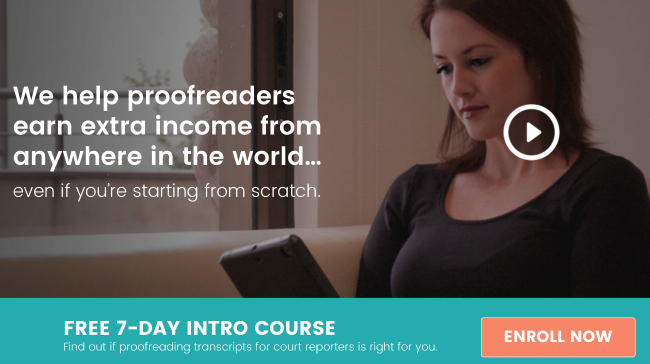 Caitlin Pyle makes $43,000 a year proofreading court transcripts anywhere she likes from her iPad, and she's created an online course to teach you how to do what she does, which includes four hours of marketing training from Melonie Dodaro. You do not have to have an English degree or even any past legal or professional proofreading experience to get started. Caitlin also offers a FREE 7-day mini-course you can sign up for just to get a taste of what the real course will be like, and to help you make up your mind if it's something you can do. For more info on the course and Caitlin, you can check out this interview I did with her here and be sure to read the comments. I have a lot of readers who enrolled back when I first shared this in March 2015 that already have paying clients. See testimonials from Facebook here. Course Price: $1174 (pay-as-you-go plan available). Fulfillment by Amazon is a way to sell items on Amazon without having to keep a lot of inventory or do any shipping to customers yourself. With FBA, Amazon will ship the items to the customers who buy them for you. All you have to do is send your items to Amazon in bulk once you have enough for a shipment. Many people do very well with this and prefer it to selling on eBay where there are so many fees and hassles dealing with customers. I recently talked to Jessica Larrew of The Selling Family about how FBA works. Jessica and her husband made six figures their first year of doing FBA, working only 20 hours per week. Their Boot Camp eCourse will teach you step-by-step how to get started with Amazon FBA and become successful. Course Price: $347 (payment plan available). I have taken Elite Blog Academy and cannot say enough good things about what it's done for my blog traffic and income. It was created by Ruth Soukup of Living Well, Spending Less — someone who currently receives over 1.5 million page views per month on her blog. Elite Blog Academy is a guided course with twelve different units covering everything from creating awesome content to effective marketing for your blog on Pinterest and Facebook. It's designed to take about 12 weeks to complete (one unit per week), but you're free to work at your own pace. If you want more info, you can read my Elite Blog Academy review detailing my own experiences. There is a 100% money-back guarantee if you take the course and don't see results. Course Price: $897 (payment plan available). Note this blogging course is only open once per year, usually in the spring. However, you can get on the wait list to be notified at the time it opens back up. What could be more fun than getting paid to play on Pinterest all day? Maybe not much, if that's already your hobby. 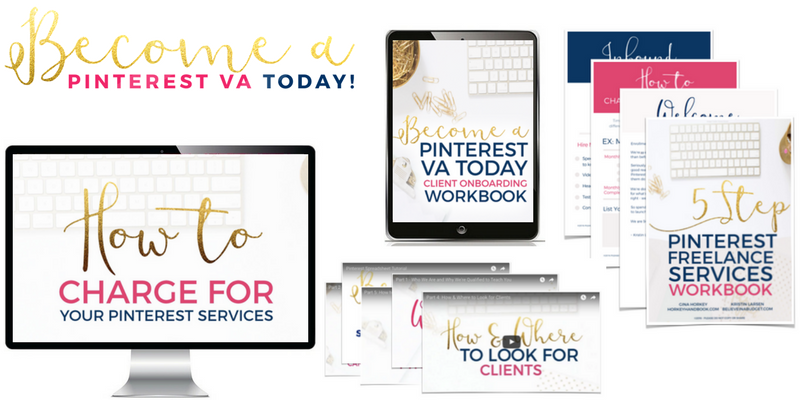 🙂 How to Become a Pinterest VA is yet another fantastic course from Gina Horkey. And on this one, she has teamed up with Kristin Larsen — a power pinner who owns a successful Pinterest management company. As you may already know, most virtual assistants specialize in different things. Some are writers, some are graphic designers, and some are social media masters. If you take this course, you'll learn to become a Pinterest Pro — something that is very much in demand these days as Pinterest is one of the most popular social media platforms around. Note that this course is not always open for enrollment. However, you can sign up on the wait list to be notified when it opens again. How to charge for your services. How to select your target market. Where to find your clients. You can check out this blog post that explains more about what Pinterest VA's do. Course Price: $799 (Payment plan available). Go here to learn more or get added to the waitlist if the course is not currently open. CareerStep teaches medical transcription (which requires certification). You can get the training you need online in order to get certified through CareerStep. They also offer training in medical billing & coding among other industries. They are a very reputable online school that will teach you typing skills, medical terminology, grammar and punctuation, anatomy and pharmacology, medical record types and formats, and productivity tips. You will also be allowed to practice on authentic doctor dictations and patient records after you've completed the basics. While this is a pricey course, Career Step's training programs are approved by many industry specific organizations. Career Step offers payment plans as well to help you afford your tuition, and military spouses also receive certain financial benefits. Course Price: Starts at $2999 (payment plans + financial assistance for military spouses available). Are these courses too expensive? I do realize many are pricey. If you want to learn something new but can't afford the courses on this page, check out this list of 15 work at home e-courses under $100.